No need to hurry! 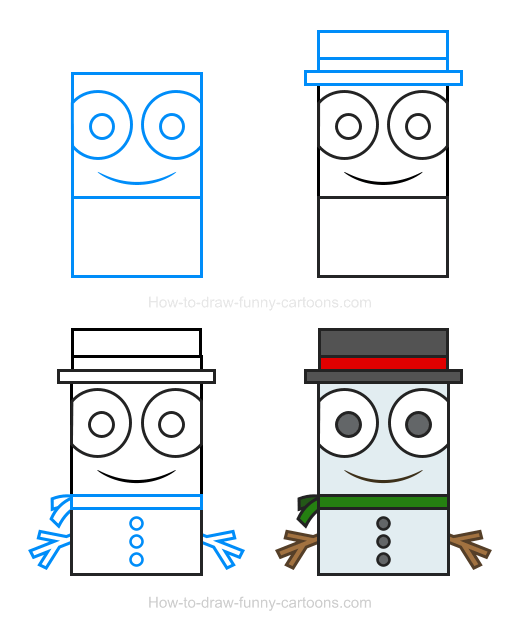 This adorable snowman clipart won't melt! You have plenty of time to work on it! 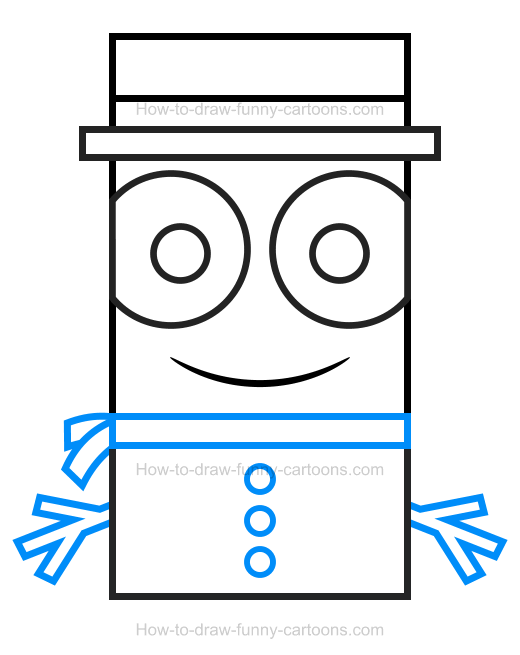 In this lesson, I will show you how to create a cool snowman made from shapes that are normally not used to illustrate this character. In this first step, let's draw the head using a large square as shown in the illustration below. 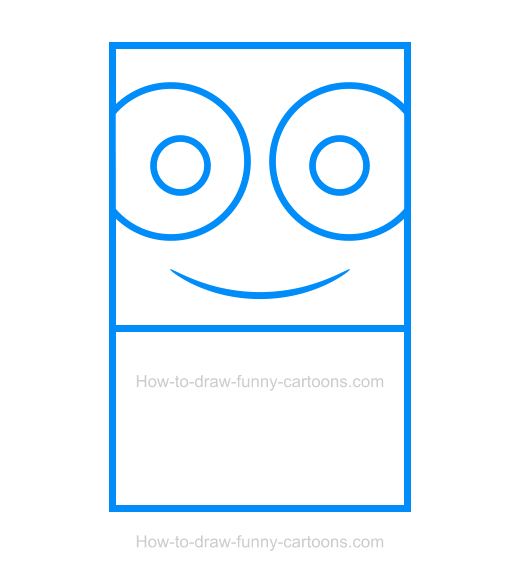 Then, you can draw the body using a medium rectangle. The eyes are made from large circles and the pupils from smaller ones. Finally, complete this first step by drawing a simple mouth using a curved line. 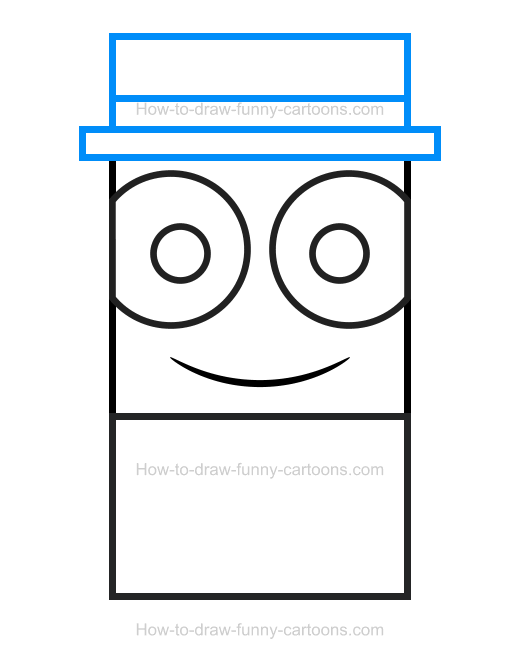 Next, add a hat using a bunch of rectangles. The one on the bottom must be thinner, but also larger. The one on top is taller and the last one is used to illustrate the red stripe on the object. One you are done, you can proceed with the third step. Using a long and thin rectangle, draw a scarf below the head. Two small rectangles are also used to complete the object. Buttons on the body are done using three circles. Hands and arms are created from branches that are done using several straight lines. Nice! We can add colors now! The hat can be filled with a dark grey color. The stripe on the hat can be red. The scarf is green and the branches are brown. The buttons and the pupils are grey. Since the character is drawn on a white background, I filled the head and the body with a light blue color. The character is visually easier to read and looks a little bit ... colder! Cool! 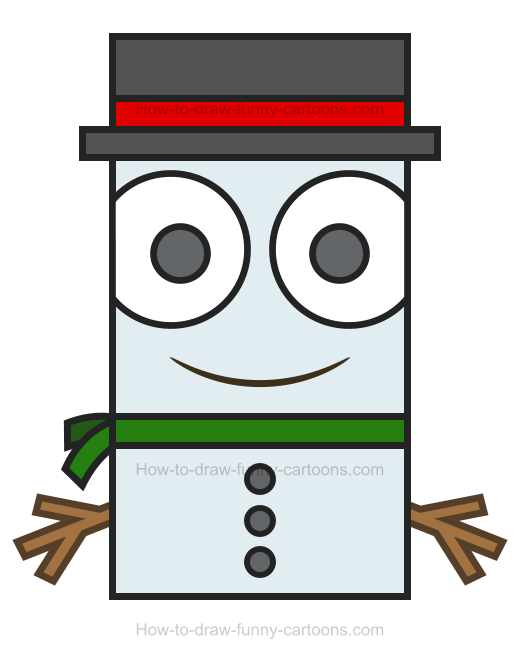 A simple snowman clipart done in just a few minutes!